(AP) - There's a rare "blue moon" on Friday, a fitting wink to Neil Armstrong by the cosmic calendar. That's the day of a private service for Armstrong, the first man to walk on the moon, who died last Saturday in Ohio at age 82. 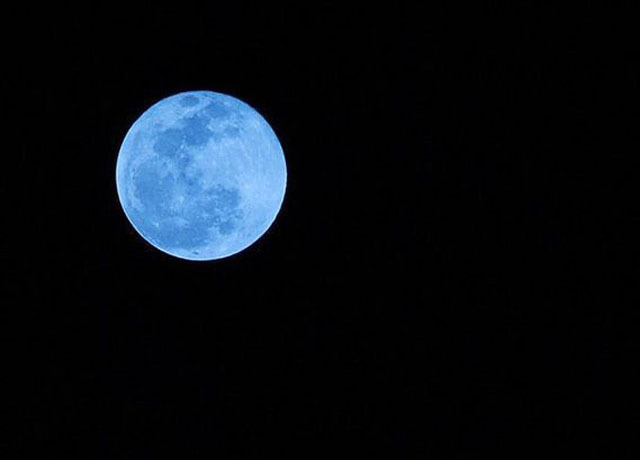 A blue moon occurs when there's a second full moon in one calendar month. It won't happen again until July 2015. The full moon cycle is 29.5 days so a blue moon is uncommon and has come to mean something rare. The moon actually won't be colored blue. Armstrong's family has suggested paying tribute to him by looking at the moon and giving the astronaut a wink.